Two of the four Churchill Barriers have been listed by HES. Two out of the four of Churchill Barriers have been listed by Historic Environment Scotland for the first time. The barriers were constructed during World War Two as a defensive measure to prevent enemy ships and submarines from entering Scapa Flow, which housed the bulk of Britain’s fleet at the time. The move was ordered by Prime Minister Winston Churchill in response to the sinking of the HMS Royal Oak in Scapa Bay in October 1939 by a German submarine, which was able to evade the ineffective submarine defences in place at the time. There are four barriers in total, two of which will be listed at Category A – the highest status for listing. This means that they are recognised as being of national or international importance. Only around 8% of Scotland’s 47,000 listed buildings are recognised at this category. Following a period of consultation and assessment by Historic Environment Scotland, barriers Three and Four are now listed. Because of longstanding development proposals affecting primarily Barriers One and two, Historic Environment Scotland did not consider it appropriate to list these two structures at this time. 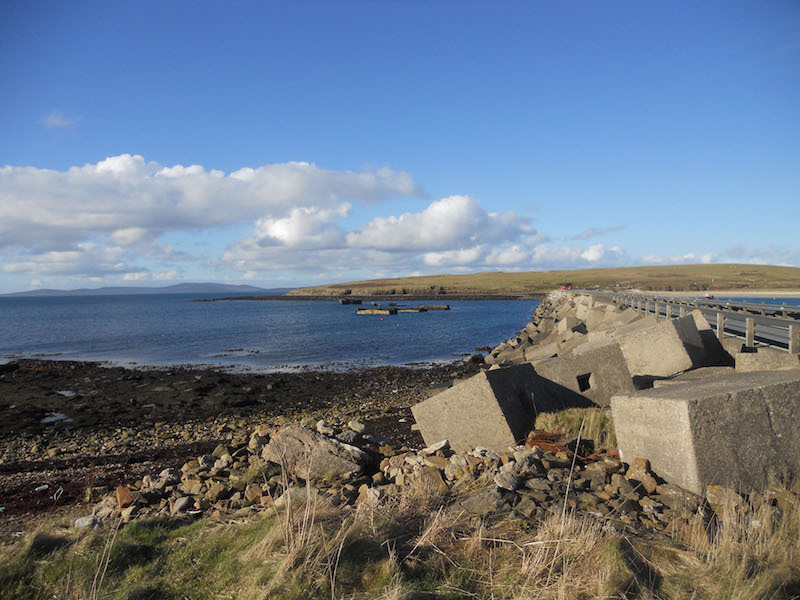 James Stockan, chair of Orkney Islands Council’s Development and Infrastructure Committee, said: “The Churchill Barriers are as important today as when they were first built, providing lifeline links between three of our inhabited islands. “They are recognised worldwide as unique monuments that serve as a powerful reminder of Orkney’s wartime past. It is fitting that those listed by HES now have the same status as other historic structures such as St Magnus Cathedral, Balfour Castle and the North Ronaldsay sheep dyke. “Barriers One and two are, of course, equally important. It is welcome that we have time to explore interest among developers in the two Barriers forming part of a tidal energy generation project, along with ways to address wave overtopping during severe winter weather. Elizabeth McCrone Head of Designations at Historic Environment Scotland, said: “Travelling through Orkney now, it’s hard to imagine the islands as they were in late 1939, as a bustling naval base, living in constant fear of German U-boats getting past the inadequate block ship and net defences. It must have come as some relief when Winston Churchill gave the order to construct the barriers.